Scientists in Australia have released a study that suggests there’s a deep correlation between retinal health and heart disease. According to this new data, optometrists might be able to screen adolescents for heart-related conditions at their eye exams in the near future. Professors at the University of Sydney took a group of teens with low health-related quality of life (HRQoL) stats and analyzed their retinal health. Interestingly, researchers found that the teens with heart problems also had distinctive features in their retinae. For example, the venule vessels were thinned out whereas the arteriolar vessels were larger than average. Researchers hope this information could be used to more effectively screen teen patients for risk of heart disease. More research is needed, however, to see if this test could work for adult patients. 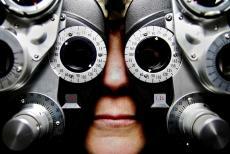 Study authors admit that there has been evidence of a correlation between retinal size and heart disease in the past. Although anecdotal evidence exists of this connection, there’s been no hard evidence prior to this study. Dr. Bamini Gopinath, who works as an epidemiologist at the University of Sydney, was the lead author on this study. Other key researchers include Drs. Gerald Liew, George Burlutsky, and Louise A. Baur.